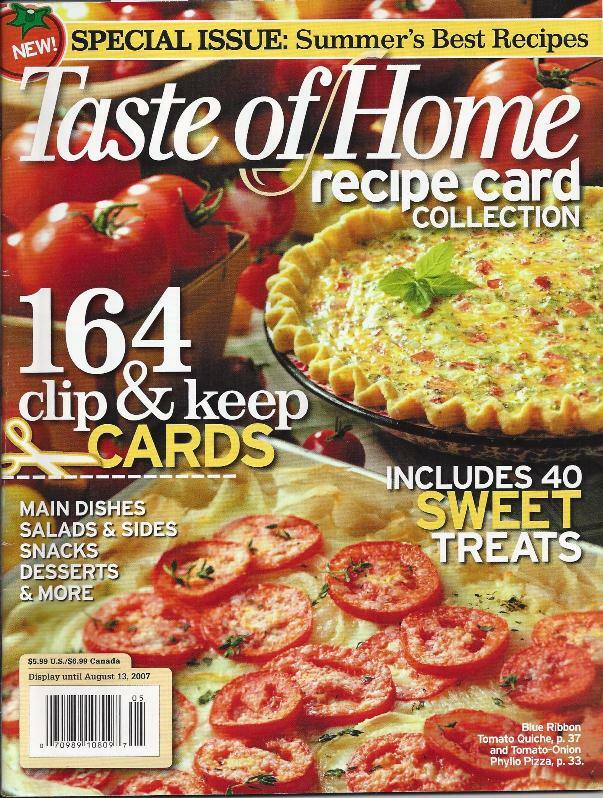 The Taste of Home recipe card collection “Summer’s Best Recipes” was a magazine issued in August 2007. It had 164 recipes full of summer goodness. I had saved it because I am always looking for ways to use garden and farmer’s market bounty. It’s full of salads, dishes using garden produce like the tomatoes on the cover, picnic desserts, breads, main dishes, soups and sandwiches and beverages. I couldn't find it on the web anymore, but if you see one at a yard sale or book sale, pick it up, you won't be disappointed. 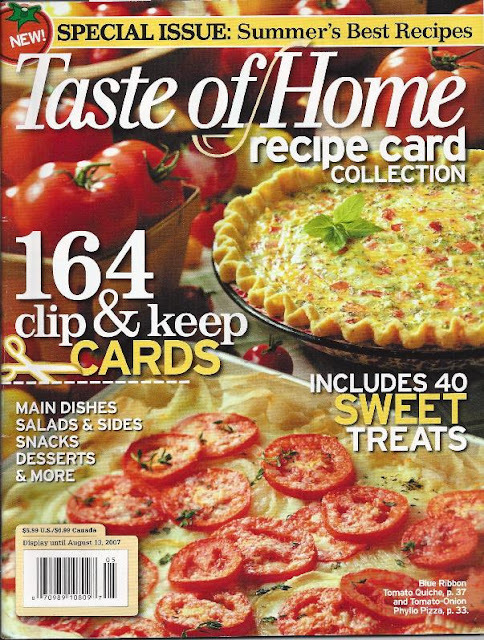 And yes, I did make the tomato quiche that's on the cover. The cover pizza is already on the blog...Tomato Pizza. It has appeared in several different magazines and cookbooks from Taste of Home - it's that good.